In this sacrament we share in the Paschal Mystery and receive the Body and Blood of Christ, who is really and truly present in the appearance of bread and wine. In the Eucharist, the faithful join with Christ to give thanksgiving, honor and praise to the Father through the power of the Holy Spirit. The Eucharist is the source and summit of the Christian life. The sacrament of the Eucharist completes our initiation into the Body of Christ. 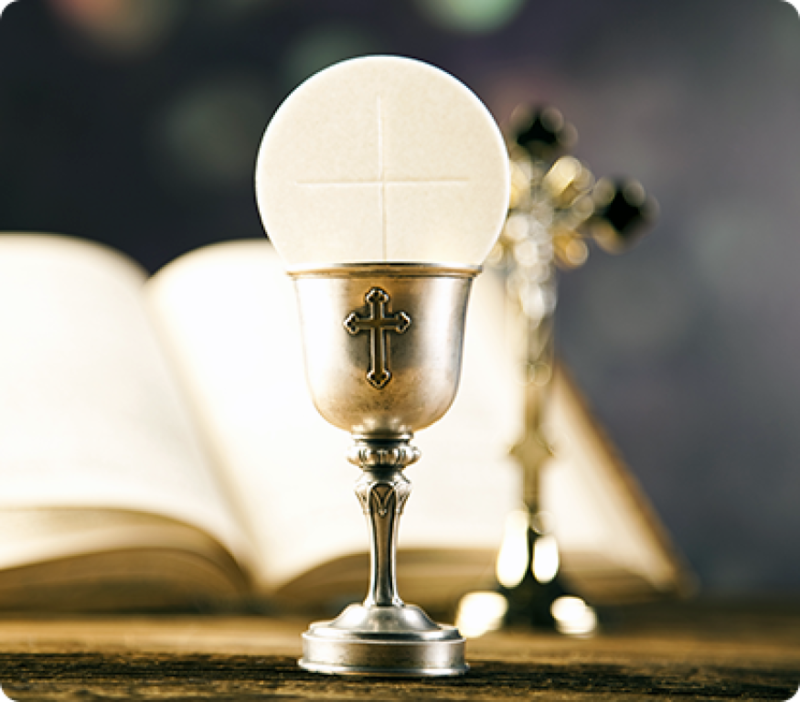 To prepare and register your child to receive the Sacrament of First Reconciliation and Eucharist (Communion) please click here to be directed to the Faith Formation information page.